This app is the easiest way to perform self-examinations. 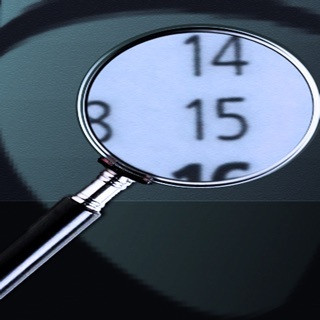 Self-examinations are key to help detect early skin cancer and melanoma. 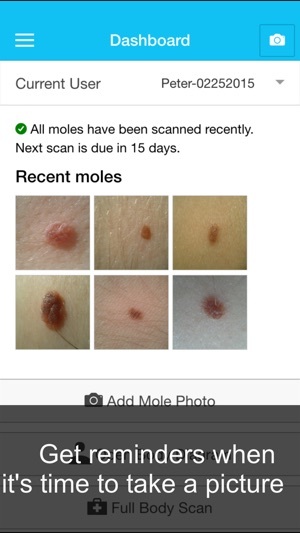 You take pictures of your moles and we store them on your device along with dates and other information. We never upload or save your information anywhere else. It's your health data, and only you should own it. 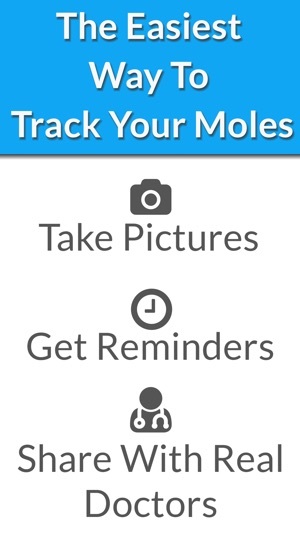 You can playback your pictures to see how moles are evolving over time . You can also add color filters to help you identify malignant patterns. When a mole hasn't been scanned in a while, we remind you of it. At intervals of your choosing. 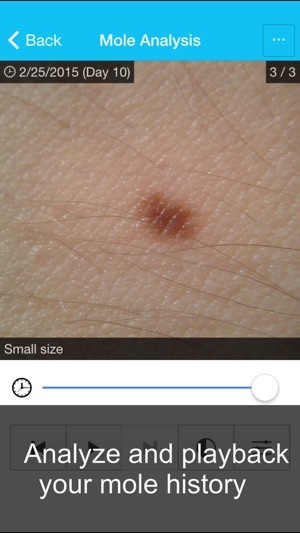 If you find a mole that concerns you, you can quickly share your mole history with a dermatologist near you. 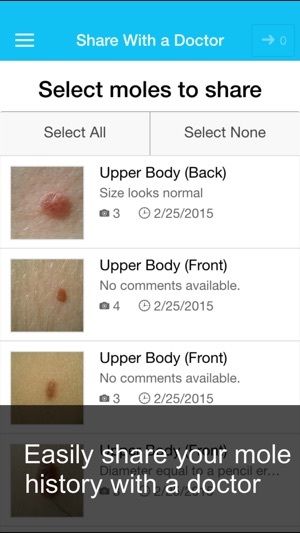 Check your moles and those of your family members directly from the same app. This app does *NOT* provide automated diagnoses. Automated diagnoses are inaccurate and can be very dangerous because of the possibility of false negatives. If you are concerned about a mole, go see a doctor immediately! Start tracking and stay healthy. By far the best app out there for taking care of your skin. 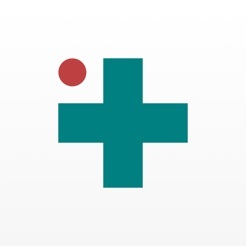 As a young adult who has had multiply melanoma, basal cell carcinomas, and too many biopsies to count- this app is a literal lifesaver. I am able to take clear pictures and mark on a map where exactly the mole I am watching is. 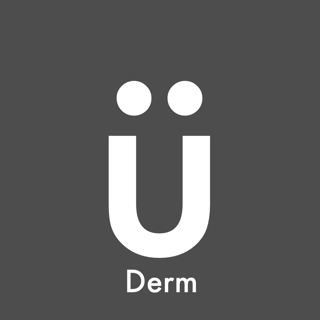 I can show my dermatologist any changes that I notice. The app reminders are fantastic too- making sure I remember to submit updated pictures and doing routine skin checks. Thank you for such a wonderful app! I searched high and low for a mole tracker app that was well designed and streamlined. This is by far the best thing going and is hugely better than the few other competing apps out there. The developer is super responsive and committed to its development. I contacted him about a bug I found, and he followed up immediately. Highly recommended.